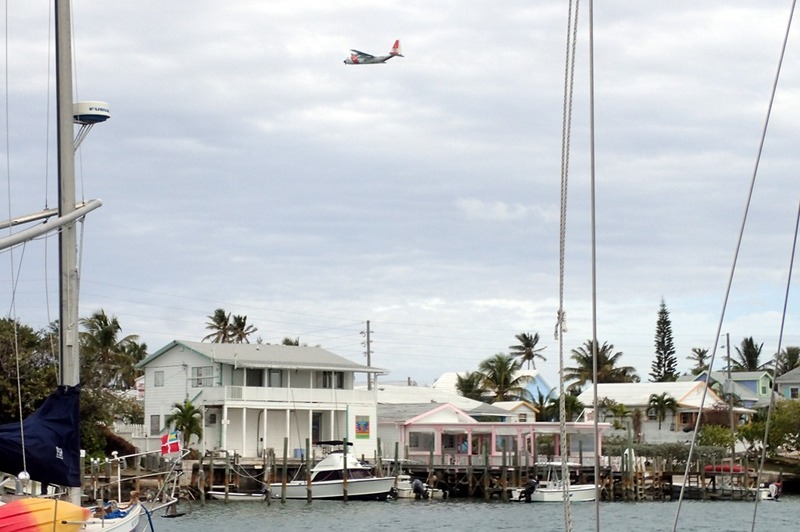 We saw a US Coast Guard C-130 yesterday afternoon, flying low along the ocean side of the island. 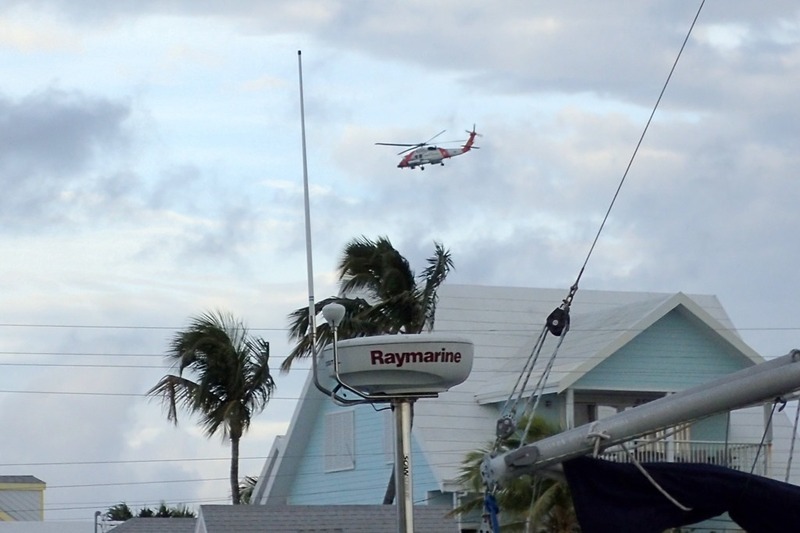 and a USCG helicopter. Flying back and forth all afternoon. Then the reports filtered in: Friday evening a Haitian sailing sloop struck the reef off Man O’ War Cay, just to our north. The boat broke up and sank in the Fowl Cays. The following were activated and participated in the rescue operation: the Bahamian Police Force, Royal Bahamas Defence Force, Department of Immigration, U.S. Coast Guard, Hope Town’s Volunteer Fire and Rescue and BASRA, Bahamas Air Sea Rescue. Fifteen Haitian nationals were rescued and about 17 bodies have been recovered, including twelve found by divers inside the submerged boat (which was located by the USCG helicopter). Estimates of the number on board vary, the lowest being 43. Search efforts are continuing today. A sad, terrible tragedy. On a much, much lighter note, Goldwin had a rescue mission of his own. 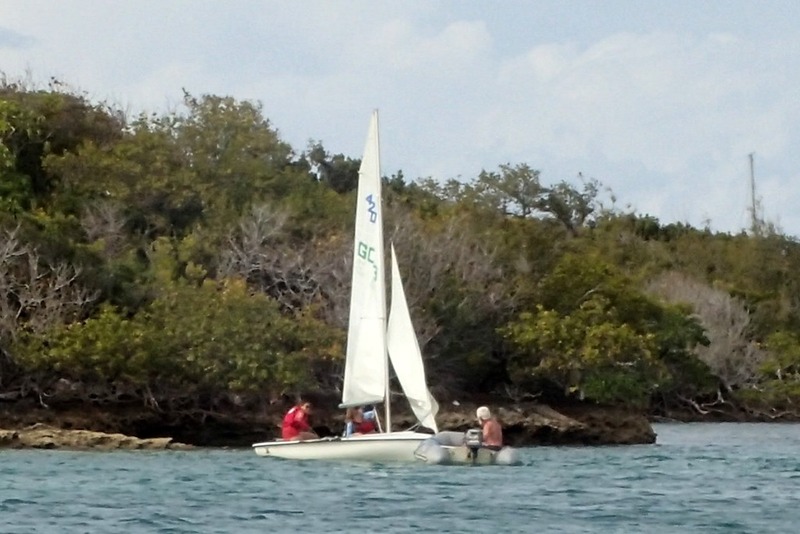 One of the junior sailors got her boat hung up on a shallow reef just inside the harbor. 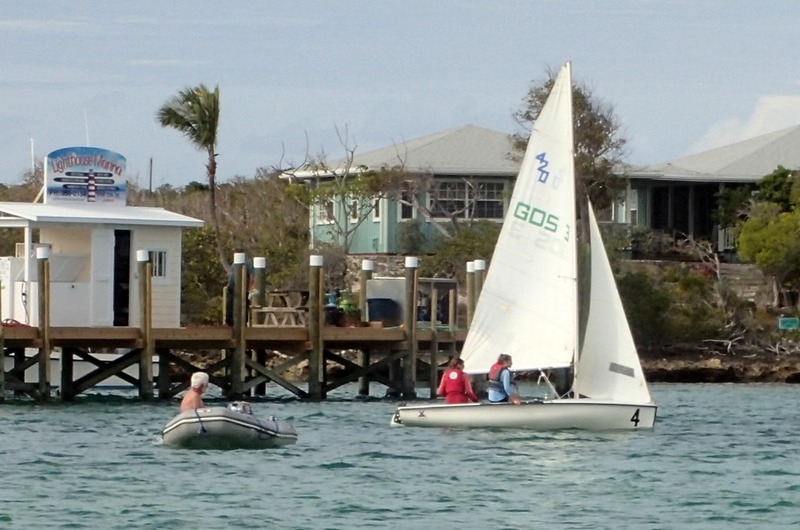 He dinghied over and pulled the boat off. Soon they were sailing again. And Goldwin returned to Motu Iti so I could finish cutting his hair. So sorry to hear this, Nancy. Haiti has so many problems and the Bahamas have taken in many refugees, I believe. Haiti is the poorest country in the Western Hemisphere. It’s no wonder Haitians try to escape at risk of their lives.